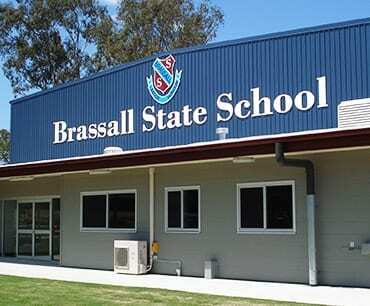 All types of school building signage manufactured and installed in a range of colours and styles. 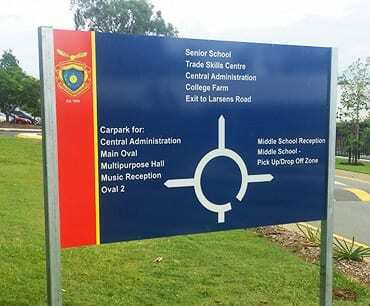 Our school entrance signs and reception signs will enhance your schools first impression. 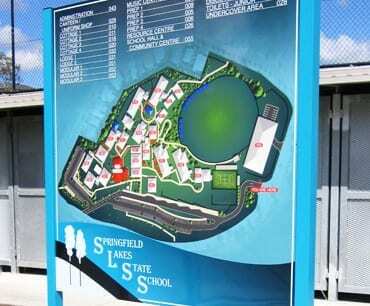 Personalised school map signs and display signage is extremely important for for guests and students. 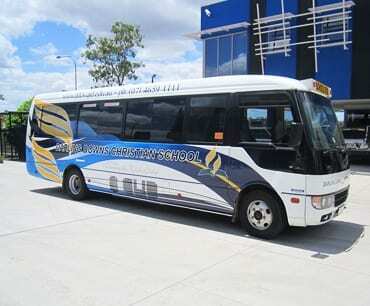 The brand of your school can be professionally designed and applied to your school vehicles. Room signs and directional signage personalised to complement your schools colours and brand. 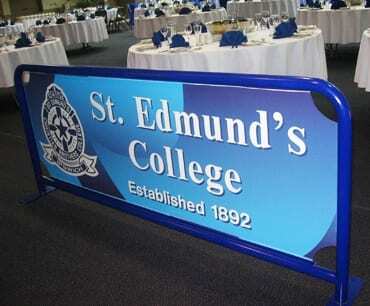 Changeable message board signs are a very versatile sign system and can be branded to suit your school. 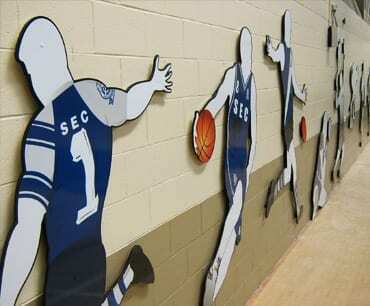 We’ve been asked to complete some great sports hall signage, what could we do for your school? Digitally printed, any size & design in a range of finishes, your House banners will look great on show. 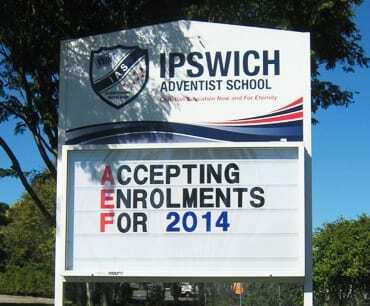 A full range of custom schools and personalised school sign ideas are offered by us here at Surreal. 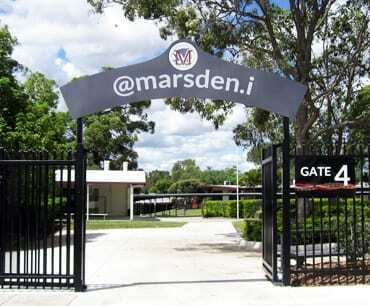 Click above to enter our on-line Queensland School Signs ordering page. You’ll require a password as this area is for our schools only. If you don’t already have a password or haven’t received one via our mailer, then please contact us on: 07 3713 7999 or email: sales@surrealsigns.com.au. Once you’ve logged in and entered successfully you’ll be able to download our Educational Queensland school signs brochure and choose your required signage from it. Then using our on-line order form, process your order by selecting the type and size signs you require, quantity, whether you need anti graffiti laminate as an option or no. The order form will total up your spend and if you’re happy to proceed then submit your order to us. 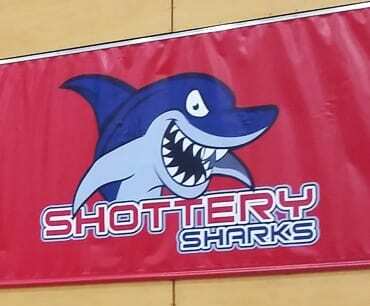 The entire Surreal Signs team has been involved in the design, print and signage element of the schools most recent 60 million dollar upgrade. The results are superb.